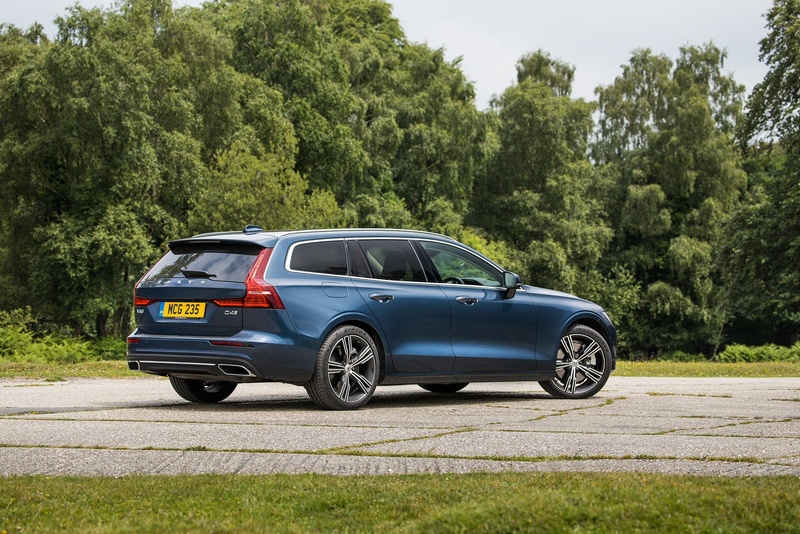 In case you hadn't heard, Volvo estates are smarter and sportier these days, as is ably demonstrated by this much improved second generation V60. Despite its sleeker styling direction, the car isn't a clone of its German mid-sized station wagon premium segment rivals, still majoring in Volvo virtues like exemplary safety, cosseting comfort and versatile practicality. This D4 diesel version also delivers a very accomplished driving experience and some very clever technological touches. 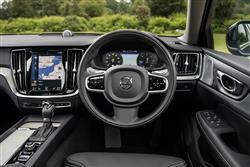 Volvo brands this car 'the ultimate lifestyle enabler'. We simply call it a potentially surprising package. Estate cars used to be things you bought to carry around loads of kit. Not any more. These days, most people wanting to do that will buy an MPV or an SUV. Leaving estates to focus almost completely on style and driving dynamics. Which is why compact mid-sized premium-branded wagons like Audi's A4 Avant and Mercedes' C-Class Estate can't actually carry much more than the saloons upon which they're based. 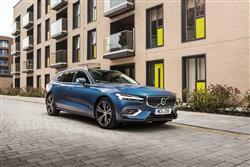 Now you wouldn't expect Volvo, a solid, traditional brand that pioneered the kind of boxy estate car into which you could fit a fridge (or several), to want much to do with this kind of trendy form over function approach. But you'd be wrong. The Swedish brand actually invented this style-conscious market niche long before the German brands turned up, bringing us the classic P1800E model that Roger Moore drove as 'The Saint' way back in the Sixties. 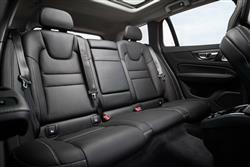 But it took them until 2010 to return to it with the first generation version of their V60 model. That car wasn't quite good enough to significantly trouble its dominant German-branded rivals. But this design, its successor, might well be. 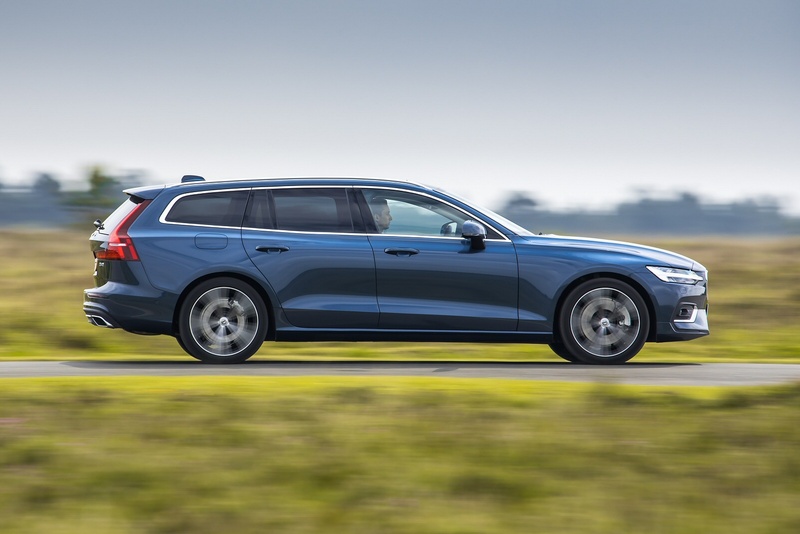 You might not be approaching the idea of driving a Volvo estate with much enthusiasm, but this second generation V60 is actually surprisingly agile and adept, thanks in large part to its stiff 'SPA' platform architecture. It doesn't handle quite as sharply as some rivals because it has other, arguably more important priorities. And recognises that for some, driving enjoyment can also come with a lowering, rather than a raising, of the heartbeat. The well-judged set-up of the standard 'Dynamic Chassis' suspension set-up helps here, which provides the best balance of any Volvo we've yet tried when it comes to the contrary objectives of comfort and composed body control. The optional 'Active Four-C Chassis' package gives you adaptive damping, but you don't really need it. All variants get Volvo's usual 'Drive Mode Settings' driving dynamics system via which you can tailor throttle response, steering feel and the timings of the optional 8-speed auto gearbox to suit the way you want to drive. As for engines, well as usual with Volvo these days, they're all four cylinders and 2.0-litres in size. 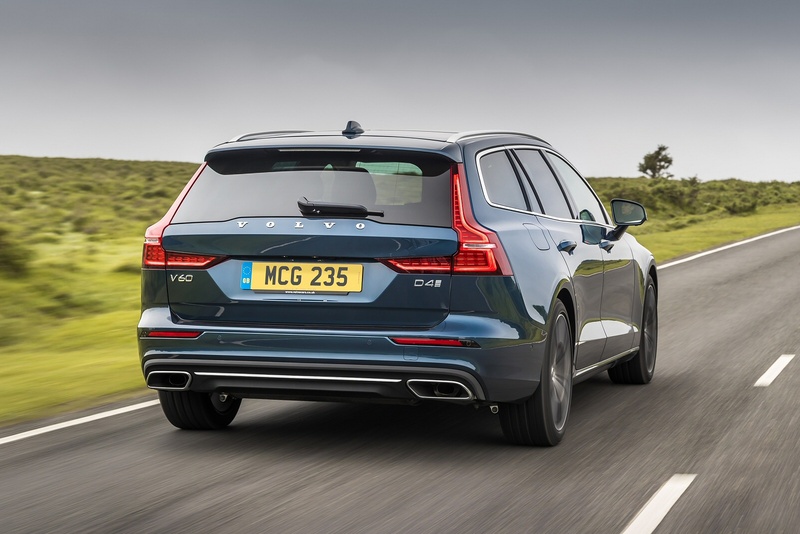 The company's future plans for its conventional powerplants are centred around 48-valve mild hybrid technology, but from launch, this MK2 V60's model range was primary based around non-electrified petrol and diesel units. Most buyers favour the black pump-fuelled units, either the 150hp D3 or the 190hp D4 we tried - which offers a 400Nm torque output facilitating a 2.0-tonned braking towing capacity and allowing this variant to reach 137mph and sprint to 62mph in a 7.9s time that's actually slightly quicker than a rival BMW 320d. 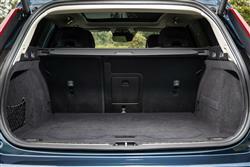 Lots of people will have a clear picture in their head of what a Volvo estate looks like. This might not be it. Along with its S60 saloon stablemate, this MK2 model V60 is the smallest and lightest of the cars produced from Volvo's 'SPA' 'Scalable Product Architecture' platform. It's appropriate then, that there's a sense of visual agility here that the brand's other more expensive offerings don't have. Take a seat up-front, where high-quality materials, intelligent use of space and attention to detail work together to create a distinctly Scandinavian cabin that's simple, elegant and more appealing than most rivals. The first thing you'll probably notice is the 9.3-inch portrait-style touchscreen on the centre console that de-clutters the cabin of buttons and gives it a classy, sophisticated air emphasised by intricate detailing and rich Scandinavian design. There's more technology in the instrument binnacle where the normal conventional dials and read-outs have been replaced by virtual ones in an 'Active TFT Crystal Driver's Information Display'. Out back, boot space comes in at 529-litres with the rear seats in place, outstripping the Audi A4 Avant, BMW 3 Series Touring and the Mercedes C-Class Estate. The rear bench splits 40/20/40 and drops down flat to the floor. 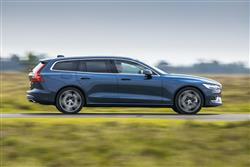 The first generation V60 model merely aspired to be a direct rival for mid-sized premium station wagon segment leaders like Audi's A4 Avant, BMW's 3 Series Touring and the Mercedes C-Class Estate. This second generation version though, feels confident that it can take on and beat these Teutonic heavyweights - and it's been priced accordingly. Where before, most V60s were sold below the £30,000 price point, with this MK2 model, the D3 and D4 diesel models that will make up the majority of sales are pitched in the £32,000 to £40,000 bracket. There's a £1,000 premium to pay to go from the 150hp D3 to this 190hp D4. Either way, there's the option of paying £1,550 more for the expected automatic transmission option. Across the mainstream variants, there are three core trim levels - 'Momentum', 'R-Design' and - as here - 'Inscription', each of which are also available in upgraded 'Pro' form. This D4 variant is tightly priced by class standards. From launch, Volvo attached a £33,000 starting price to this variant; directly equivalent BMW 320d ED Touring and Audi A4 Avant 2.0 TDI 190PS models cost around £35,000. An equivalent Mercedes C220d Estate costs around £37,000 and only comes as an automatic, making it around £2,500 more than the equivalent D4. We'll also reference the fact that the auto-only 250hp petrol V60 T5 looks very decent value at around £35,000. You'll pay around £3,500-£4,000 more for an equivalent BMW 330i Touring or Mercedes C300 Estate - and around £6,500 more for an equivalent Audi A4 Avant 2.0 TFSI 252PS quattro. 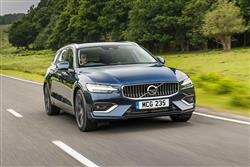 Going forward, Volvo has made it clear that all its cars will feature electrification in some shape or form - either full battery power, Plug-in hybrid power or 48V mild hybrid assistance for conventional petrol or diesel engines. 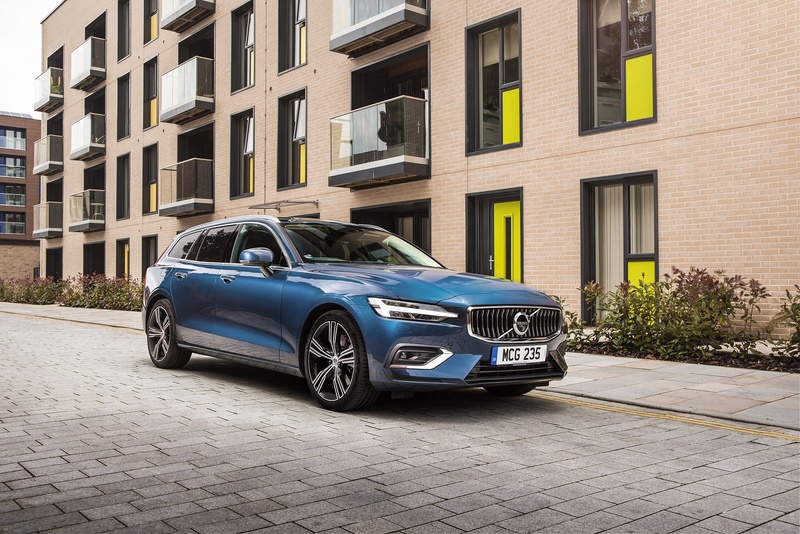 But it takes time to ramp up such a strategy and from its launch in the Spring of 2018, it was necessary for this second generation V60 range to be primarily based around its older-tech non-electrified diesel engines - like the D4 we've been trying here. This 190hp D4 achieves near-identical fuel and CO2 returns to those of the lesser 150hp D3 diesel - around 64mpg on the combined cycle and 117g/km of CO2. That's for a manual gearbox model. You're looking at just under 63mpg and around 120g/km if, as is highly likely, you want an automatic. That's not quite good enough to equal the class-leading figures you'd get from a rival Audi A4 Avant 2.0 TDI, but it's quite sufficient to put this Volvo on a par with Mercedes and BMW in this segment. 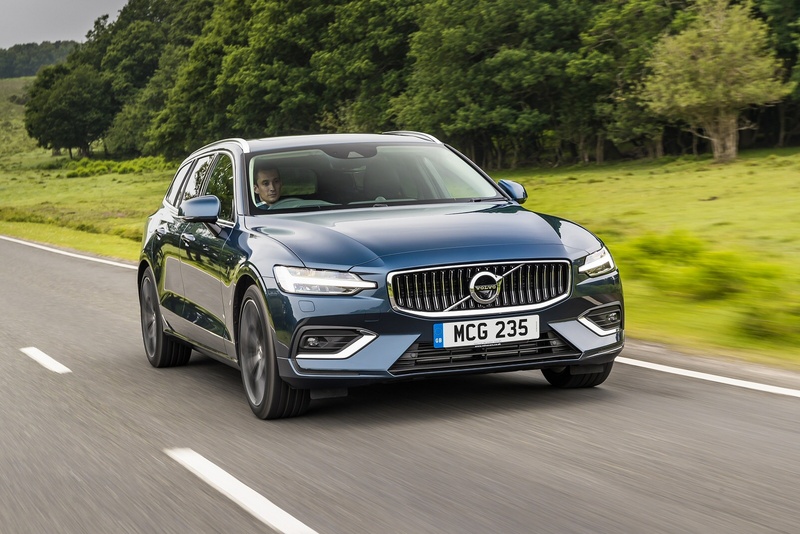 Overall, much of the credit for all this goes to 'Drive-E' technology that Volvo's used to champion a smaller, lighter approach beneath the bonnet. There's also a particularly effective i-ART direct fuel injection system, plus the powerplant mechanicals generate impressively little internal friction. If you�re looking for a new Volvo V60 2.0 D4  Inscription 5dr Auto Diesel Estate for sale, you�ve come to the right place. At Bristol Street Motors we don�t just have the best Volvo V60 2.0 D4  Inscription 5dr Auto Diesel Estate deals, we also offer friendly advice and help with all your enquiries to ensure your buying experience is a happy experience.